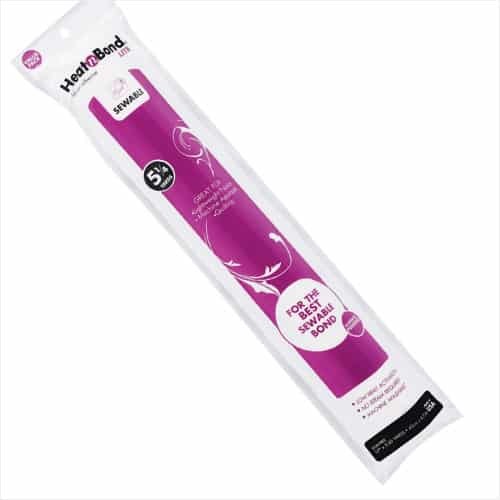 Heat’nBond Lite is an iron-on, sewable, double-sided adhesive for bonding fabric without extra weight or stiffness. Use it in place of pinning or basting and just stitch right thru the adhered layers of fabric. Heat activated; Permanent; Double-sided adhesive.